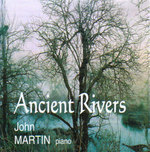 Ancient rivers : 12 piano solos. 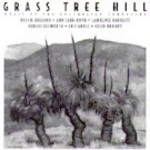 Grass Tree Hill : music of Australian composers. Grasstree Hill : piano solo / Ann Carr-Boyd. Ancient rivers / John Martin, piano. Grasstree Hill : arranged for harp and strings / by Ann Carr-Boyd. Grasstree Hill / Ann Carr-Boyd. Work revised in May 2006. 29 Nov 2015: at Steel City Strings (The Pavilion Kiama). Featuring Shilong Ye, Paulina Smirnov, Steel City Strings. 21 Nov 2015: at Steel City Strings (Wollongong Art Gallery). Featuring Paulina Smirnov, Steel City Strings, Shilong Ye. 1 Nov 02: St Mary's Cathedral Hobart. Featuring Tasmanian Symphony Orchestra. 1 Nov 02: featuring Ann Carr-Boyd.